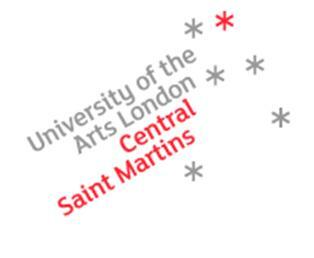 I was invited by Dr Jamie Brassett, Innovation Management MA Course Director at Central St Martins to join a panel all about Social Innovation. I was joined on the panel by Professor Lorraine Gamman and Kate Oakley PhD. At this point, I also want to add my LLB letters to my name! It was the inaugural “Insights Exchange” on issues of Social Innovation/Enterprise & Public sector and the new concept was to mix up the academic with the non academic practitioners. It was attended by 1st and 2nd year Innovation Management MA students and some other interesting and interested people! The insights I talked about and suggestions I made are based on my experience directing the Space Makers Brixton Market project Nov ’09 – Nov ’10. 1. 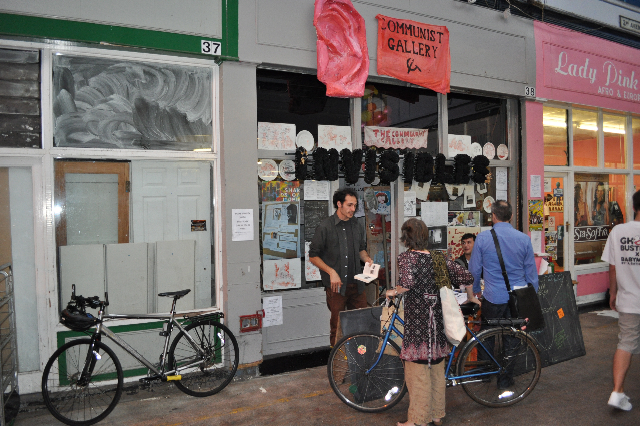 Stakeholders – When working on a community project, like Brixton Village, the stakeholder has a broader definition that just those you would expect. They also become apparent as you progress through the project. I was pleased when I opened this question out to the Innovation Management students that they included shoppers, present and future, to be stakeholders too. Many of us have a public place we feel to be “our” place – it may for example be somewhere that has family meaning for us. So true of Brixton Market. You will also find local self-organised groups that are also working on community-focussed projects that become apparent as time progresses. Realise also that your continual communication with your (loosely termed) stakeholders actually needs to work for those that are digital and those that are not. 2. Identify the Benefits and Beneficiaries – Again, this will evolve as you go through the project. List out all the benefits that different groups could get from the project. This is important in helping to communicate to people why they might want to be involved; to turn around those that may be resisting change and will set a clear vision for all those that get involved with the overall project. 3. Open Source – Embrace the diversity that throwing the gates open can bring. I do not remember turning away any pop up activities other than for health and safety reasons or those that were in direct competition with projects in units, such as food stalls. Another example is the open meetings that we held every Tuesday night in the local pub (Dougald’s brain-child response to the sheer amount of people that were contacting us to be involved), so that anyone who wanted to get involved with activities in the market could come along. There were many collaborations formed and events curated through this. It also brings in additional resource; people were happy to dip and out and the overall project benefited hugely from extra pairs of hands to make the space really unusual and inclusive. 4. Basic Structures – Hand in hand with the open source idea are basic structures that allow for creativity and innovation to flourish. Yes, you need some basic rules but we were careful to keep these minimal – give people enough so that they are comfortable to experiment in the space. No idea is a bad idea and we do not know failure! This way, the project could again, evolve, learn what worked and what could be improved upon. 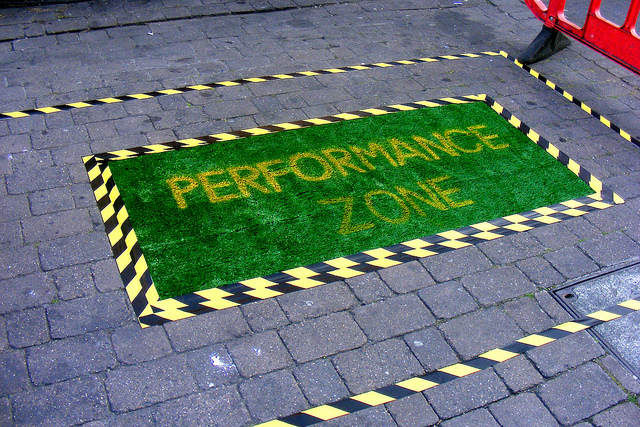 An example of a basic structure was this Performance Zone that was put in place on the forecourt to encourage passing performers. 5. Documentation – All community projects have loads they can teach to help other projects. I encourage people to be open about what works, what doesn’t work and to make that publicly available throughout the live project, rather than waiting to the end. With a constant and fast moving project, you probably will already be working on improvements when you receive the feedback and it is good to show your awareness. Take lots of photographs – great for photography student projects, and we were lucky enough to have the wonderful Andy Broomfield helping us out. Document your processes, again, so they can be re-used by others. 6. Develop a thick skin! There will always be people that do not like change. Some of those will work with you once you have understood their angle and they understand how in fact the project can also work to help their cause. Others never will. For those that know the Digital Youth Project mission, you will know my view that that these projects create fantastic learning experiences for young people and I always encourage getting young people involved – the benefits they bring to a project can be huge. 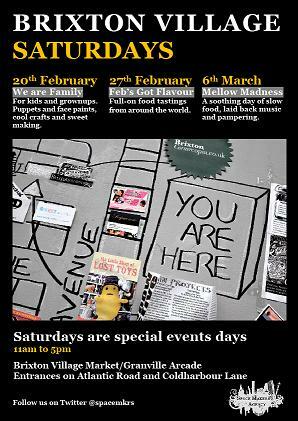 You can read more about youth involvement in the Brixton Market project here. The discussion that followed was most interesting – I picked up all sorts of new terminology and there were some heated discussions. Here was the buzz that I got; understanding the different types of social innovation; wicked social problems; how social innovation is now a label that many existing institutions are adoptin; the impact of political context on social innovation projects; how to ensure ongoing sustainability; how to measure success; accountability; how social values are exchanged, fraternalism and SO MUCH MORE! I want to do that course! Katrina Damianou – who was instrumental in the Brixton project as part of her work placement from Central last year. Please feel free to get in touch if you would like some Product Doctor advice for social innovation, community building and youth real life learning experience projects. This is a webinar, that I did for the DCK TN and Mobile Monday London, 27th Jan 2011, and should be of interest to people that want a closer understanding of the youth market. Through my experience in mobile and online community products since 1993, despite much time, effort and cost, I have seen many products fail to succeed or fail to reach their full potential. One of the key reasons is that end users are not engaged in their development. I set up the Digital Youth Project in 2005 to address this gap focussing on the youth market and to show how engaging young people in your projects can provide great real life learning experiences for them too. I illustrate the points using case studies from virtual world to mobile to community projects with a social media twist. Thanks to those that logged in live, for my 4.5/5 rating and for the great feedback! It was a fun new experience talking to the aether! Please click on this link to view and listen – you will need to register but it is free: Webinar DCKTN / Mobile Monday London. Here is the presentation, without me talking over it, and some of the key points listed below. Some adults incorrectly equate youth products only with fun; my case studies show that young people need and appreciate helpful products too, such as mobile mapping services. In addition, young people can quickly tell you where your product is not practical – for example, they are worried about the security aspects of wandering around holding their phone and whether your service can be fully appreciated on a small screen. They also want product naming to effectively describe the product – so say what it does on the tin. Young people want choice, so for example if you are developing a music-based App, make sure that you have as many genres in there as you can. They want to be able to use services on their mobile, pc and other devices such as i-Pod so multi-platform and channel access is important. They are so familiar with certain user interfaces, for example, the Apple Store, so where you can, work with their understanding rather than feeling you need to create something different. Time over I see that young people will dive straight in to using the product. They want to work it out for themselves – that is part of the fun, however, that is no excuse for creating something that is not intuitive. If you are going to add help, first time tutorials can be effective, as long as they are interactive; making help information concise is essential and males have a tendency to look to YouTube for short videos. Social functions are now expected. Facebook is the benchmark for being able to share, comment and converse. Voice, text and camera are now the basic expectations of a phone. Before creating your visual presence, talk to young people and ask them how they would use the product; again, you will see case studies of where using the wrong visual will throw the user off track. I have worked with many products where the functionality is fantastic, but the wrong user facing product has been developed – young people are very good at un-packing the functionality and putting it back together again in a more attractive proposition. Competitor analysis, as we know, is crucial before you can work out your feature set and positioning; young people will tell you who they think your competitors are, which is far more valuable than who you think they are! When considering the youth market, I suggest 2 year increments; 11-13, 13 – 15 and so on. I have found that your actual users will be those that are in the age increment below the one that you are targeting – young people are often trying to appear to be older than they are. It is also important to realise that there is a lot of cross-generational traffic on sites that are populated by young people – particularly in the virtual world, social networking and gaming scenarios. Aunties, uncles, godparents, grandparents, older siblings – particularly when they are remote – will engage with their younger contacts in their own environment. When presented with a new product, often a young person’s response is to think “where is the catch”, so if you have chargeable elements; sponsored content; integrated advertising and so on, just be upfront about it. This way you will show your respect for their intelligence and gain their trust. There are already plenty of online and mobile experiences that young people enjoy for free – so there is no point presenting them with a similar experience that is chargeable. However, young people are spending money on digital – as I found when looking at digital music products “who do you think got Tinchy Stryder to the top of the download charts?” Note also that digital goods revenue lines are still in growth. You can offer great learning experiences for young people to help you understand how best to use social media to generate awareness and social media coverage of your business, project and events. Media students are on the look-out for real life projects where they can provide media coverage for you whilst adding to their portfolio – think photographs, film, interviews and general journalistic comment. If you are looking for creative content perhaps to add some spark to an event, think about offering an opportunity to young people’s arts and performance groups. Young people are scary and they will automatically take a negative stance: Incorrect! Young people are encouraging about innovation and willing to take risks. You will find working with them energising. They just grunt – think Kevin the Teenager: Incorrect! Explain, listen, coach and ask open questions in the right environment – you will get very constructive feedback. You have just chosen the clever kids to work with: Incorrect! Great feedback does not just come from clever kids – often the most disruptive and under-achieving have the most creative and honest input. “What young people want is…”: Incorrect! Avoid generalising about the youth market – some just call and text; they don’t all have blackberries, they don’t all want an iPhone, and the list goes on. In conclusion, by engaging users in the design of products and marketing, you will become more efficient. You will know when you have a dead horse to stop flogging; you can avoid endless internal assumption-based debates on features and user interface; you can generate new challenging ideas; you can get a good idea of how best to target the youth market and overall maximise your development and marketing spend. Please do get in touch if you would like these insights presented at your business or event. Following the success of the Travelling Teen Panels at OTA 2009, I am delighted to be returning to OTA this year as the Product Doctor. Let’s talk product – how can you maximise your product to reach your objectives? Do you have tight product goals? What user need / desire are you meeting? What is your market opportunity? Do you have a product roadmap? Do you have a revenue forecast? How will you encourage repeat use of your product? How are you going to target new users? How are you engaging users to input to your product plans and design? How are you measuring user satisfaction and getting constructive feedback? And more…. The Product Doctor will ask you these and other searching questions and help you bring structure, logic and reality to your product planning. I am holding a Drop-In Surgery during the event and offering a number of 25-minute complimentary appointments. To book a consultation, please email me : julia@product doctor.co.uk or catch me at the event. Friday 12:15 – 1.15 and Saturday 10:30 to 12:10 in 344c, London Imperial. Can’t wait to get my stethoscope out! Along the theme of interesting digital real life case studies to use in work-related learning school sessions – how about the challenge of designing a version of Twitter that appeals more to Teens? “Tweenter” if you will. We know that teens are following their fave celebrities on Twitter but that they are not really adopting the other capabilities that it offers. We have also seen many different user interfaces pop up in this space – Tweetdeck and Tweetmeme as examples. This would be a really engaging challenge as an innovation case study where I would guide teams of students through the innovation process and also give opportunities to practice other work related skills such as teamwork, communication, presentation and so on. This would also lend itself well as a practical exercise to support a marketing, design or business syllabus. This story occurred when I was taking real-life case studies to schools. The product was a set of sounds that a user could download to their mobile and insert into phone conversations. The company had various prototypes set up such as a fart machine, each fart was a different type (I will let you imagine that!). The teens absolutely hated the farts apparently finding them boring and obvious. Off they went into groups where I lead them through the innovation cycle, brainstorming ideas and deciding which idea to prototype. I encouraged one particular group to think about how they could use sound functionality in a truly useful way. Lateral, practical and lots of nodding heads in the classroom – they wished it was available now.